You've probably noticed that I stopped posting my weekly meal plans. I'm definitely still planning meals, but I haven't posted the menu plans because they kind of take a lot of time that, frankly, I don't really have these days. I figure that if I make something and like it, you'll find out about it eventually anyway, right? Maple brown sugar muffins and apple cinnamon cream cheese muffins: I made both of these muffins for the boys' snack days at preschool/daycare. The maple brown sugar muffins are our family's absolute favorites, and I have the recipe practically memorized. But when I started to make them this time, I realized I didn't have any eggs. A quick Google search revealed this handy tip: If you're out of eggs, you can replace each egg in a recipe with 1 tablespoon of corn starch dissolved in 3 tablespoons of water. I tried it, and the muffins were delicious -- no discernible difference in taste or texture. Three cheese baked meatball subs: This recipe makes a ton of meatballs, so if you make it once you'll have at least two dinners. 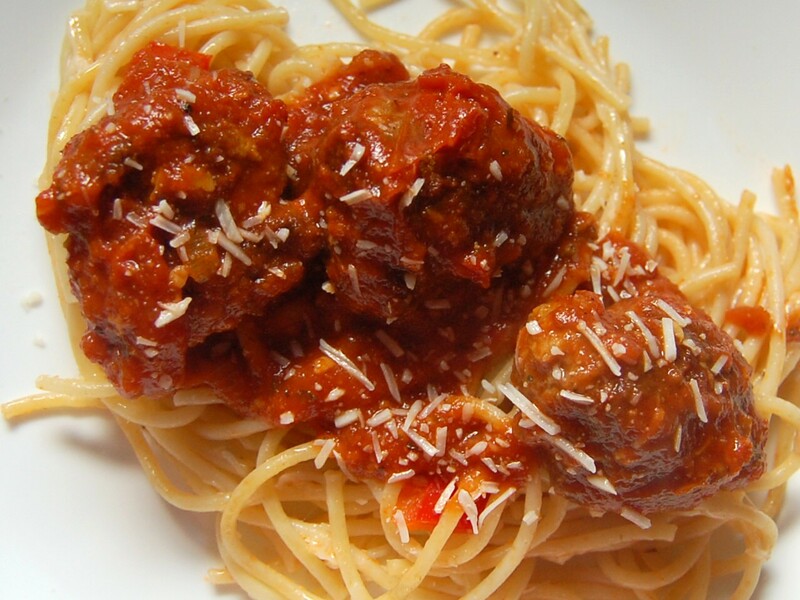 I just pulled a portion out of the freezer for an easy and delicious dinner one weeknight. Butter-baked chicken: I still swear by this recipe as the best bone-in chicken I've ever made at home. This time I served it with fried potatoes and some simple buttered corn. I've also used this breading for boneless chicken tenders, which is also delicious. 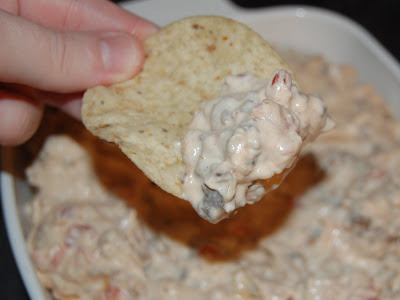 Spicy sausage dip: I've made this dip every Saturday since the beginning of football season. It's Joe's favorite football snack, and I just absolutely love this stuff too. Last week when I made it, I told Joe that it's probably what I'd request for my last meal. I...don't think I was lying. Cheesy chicken broccoli bake: I usually serve this over white or brown rice, because when you mix it all together it tastes just like cheesy broccoli rice casserole. We love this meal. 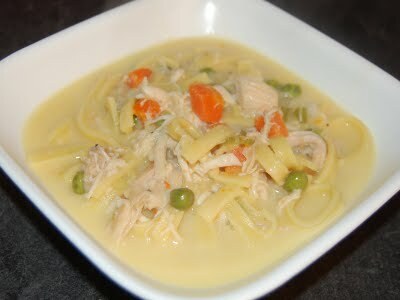 Chicken noodle soup with homemade egg noodles: Soup weather is back, and I celebrated its return with big bowls of this soup. Ever since I started making homemade egg noodles, I just can't go back to store-bought. They really don't take much time at all, and the flavor is so superior. Cheesy sausage penne: There are no words to describe how delicious this meal is. The recipe makes a ton, but this is a pasta dish that we are happy to eat for days and days. Crock pot pork roast with potatoes and carrots: Everybody needs a roast recipe like this in their back pocket. We use the leftover pork for pulled pork sandwiches or carnitas. Fried pickles: I made these (minus the burgers) during one of Ohio State's recent night games. I just love fried pickles, and I can't believe I've been missing out on them my entire life. I wish I started making them years ago. 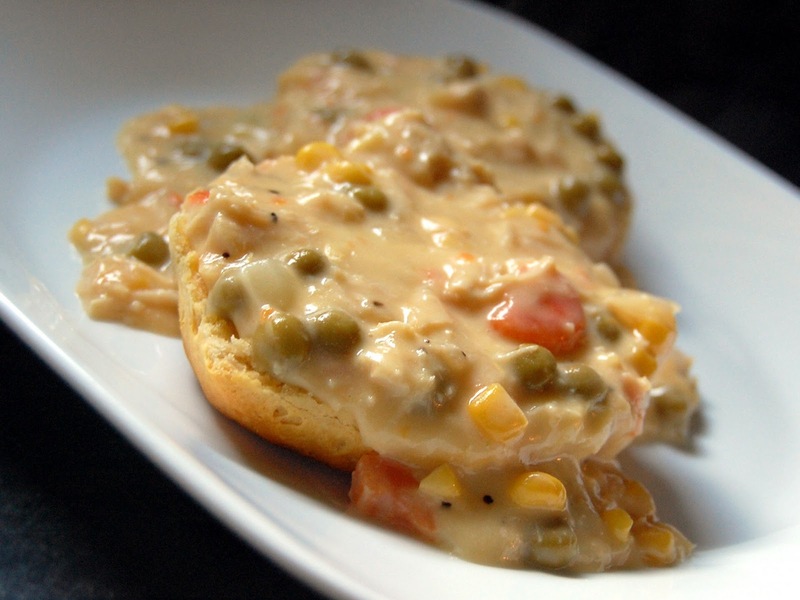 Creamed chicken over biscuits: My favorite comfort food -- and one that reminds me of my mama. That's probably why it's my favorite. :) Not only is this delicious, but it's also ready in about 15 minutes. Pumpkin crunch coffee cake: I made this cake last weekend for a breakfast with friends before apple-picking. I love that the recipe makes two cakes. The topping is seriously TDF. Pretzel ranch chicken tenders: Three ingredients, and the best chicken tenders you've ever had. I learned a hard lesson this time around: One package of chicken tenders is no longer enough for my family. My growing boys were not happy when we ran out of tenders! Going forward, I'll have to make two packages. Creamy butternut squash soup: We had this for dinner last night, and it is just so simple and delicious. I served it with smoked gouda bacon grilled cheese sandwiches, and I'll be sharing that recipe with you soon, because HOLY YUM. This is a cool post idea! Mind if I do it as well? I really like the idea!